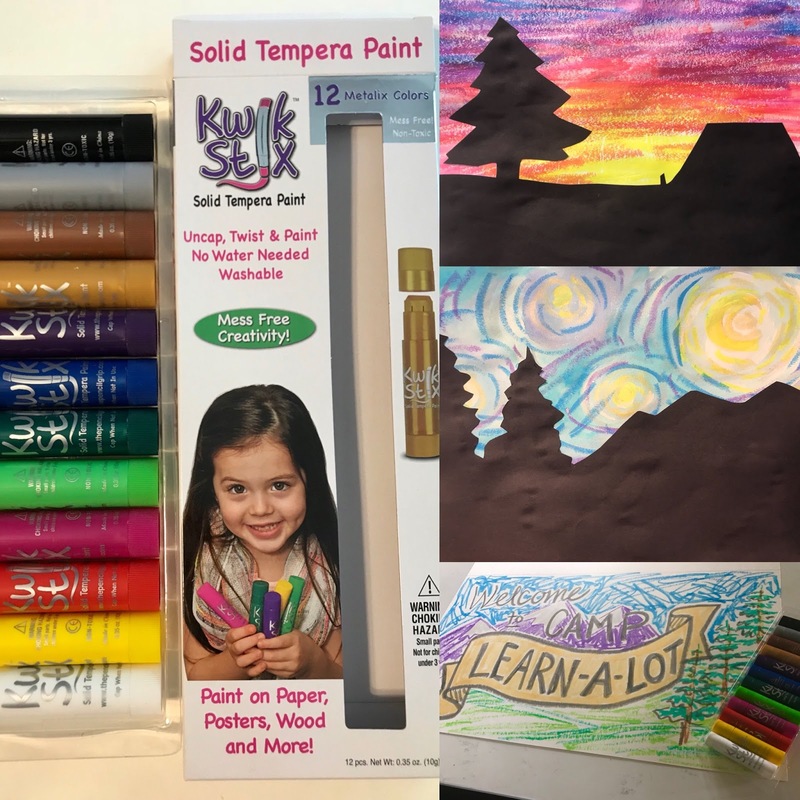 Adventures of an Art Teacher: Back to School with Kwik Stix! Back to School with Kwik Stix! I was provided with a brand new set of Metallic Kwik Stix to do a back to school post! This year will be a different back to school experience for me as I'm using my built up sick leave to stay home a couple extra weeks with my new baby. I've been trying to figure out some easy but fun lessons to leave for my substitute to start off the year and the Kwik Stix gave me some inspiration. If you aren't familiar with Kwik Stix, they are a solid tempera paint stick that comes in a form that reminds me of a glue stick. They are vibrant and bold, dry in about a minute, and are low mess. I don't know about your students but mine LOVE anything metallic. These aren't over the top, they just have a nice sheen. The "metalix" pack has been expanded to include more colors now, so that's a real bonus! My elementary school has a camp/adventure theme this year so 5th graders will start off with a themed project. They will use Kwik Stix to make a sky and then create an outdoorsy scene silhouette on black construction paper. I know they will enjoy the project and we'll move back to more choice-based lessons when I return. I also used the Kwik Stix to make a sign for "Camp Learn-a-Lot" which I'll put up in my empty display case to start the year. Kwik Stix are my favorite poster-making supply when I don't have time to paint one. Kwik Stix are available on Amazon, online at Target, online and in store at Michaels, and in store at Walgreens. 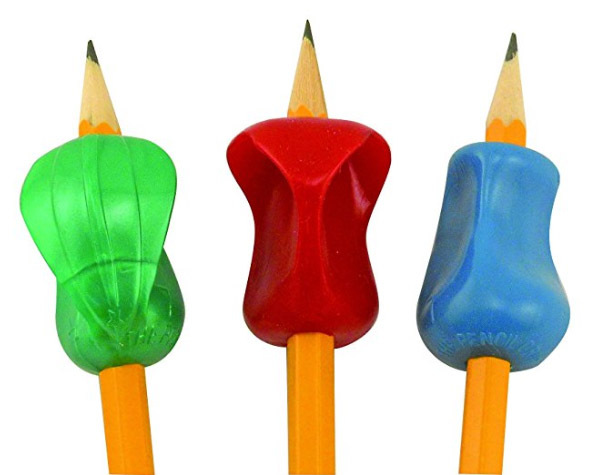 The makers of Kwik Stix also produce pencil grips which are great for teaching kids how to grip pencils or for those who need some an adaptation to help them out. I will keep my set on hand in case I see a struggling student. The pencil grips are available on Amazon.